Yesterday I was at the OGh APEX day. Over 150 people and a full day of multiple APEX tracks. The athmosphere was great. It shows that APEX is getting momentum in the Benelux. I did a presentation about how I do a typical APEX project in version 3.x and how things change when APEX 4.0 comes out. Although I got 1.5h, I felt I could speak a whole day about it, if not more! A few weeks ago we announced some APEX Trainings in the Netherlands. The training will start from APEX 3.2, but whenever possible the new features and changes that come with APEX 4.0 will be covered as well. The beginner training will have more handson/workshop, where as the advanced APEX course go more in dept in certain areas e.g. security, ajax and jquery, debugging etc. In the previous blog post I posted how you can add a Feedback link to your own application. I didn't specify how you can retrieve the Feedback, but got a question about it from Stew. I thought it might be useful for others, so decided to do another post about it. In APEX 4.0, there's a completely new section called Team Development. Team Development allows you to specify Milestones, Features, To Does ... but also to look into the Feedback. I see the Team Development as something that helps you to do Agile Development. It's just a first try of the APEX Development team, so not perfect yet, but it's a lot better than an Excel file or I don't know what else people tend to use for handling their projects. But Team Development is definetely something you might want to give a try. If you click on the Feedback icon you see the Feedback the people entered and you can Follow this up and make it a Bug, a Feature etc. As the Feedback option capture a lot of APEX specific things (e.g. in which app and page you were), it makes it all a bit easier to understand what the person is logging and to reproduce at your (the developers) end. Obviously everything is stored in the APEX Repository so you can do whatever you want with it. Another good example if you want to see what you can do with it, is the APEX 4.0 Early Adopter feedback application itself. That app also sends a mail whenever feedback got updated. APEX is written in APEX, so all feature you see in APEX you can do in your application as well. One of the nice things in APEX 4.0 is Team Development and a way to get customer feedback. 4) In the Page Template, the APEX Development team already foresaw a #FEEDBACK# token, so I guess they want to give you control how and where the Feedback link is shown. However I couldn't get that to work yet, so that is still work in progress. I believe this is a very useful feature... we actually already build such a functionality for our APEX 3.x applications, so it's nice to see it will be part of APEX itself in the future. The world stopped turning for a moment when the sad news came out of Scott Spadafore. It's aweful to lose a person you know, especially one you look up to. Scott was very, very helpful to anybody. He has the most posts on the APEX Forum and never went for the easy route. He helped people till they really got it and the issue was solved. He's also the person who did a lot of the security in APEX. I remember Carl liked to call him "THE" man. But next to his knowledge I admired Scott because he could put the things in proportion and he always seemed to take things with a smile. 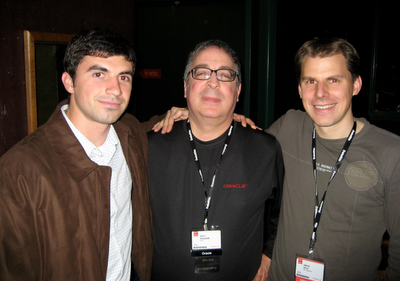 This picture was taken in 2007 at Open World. Scott is in the middle. 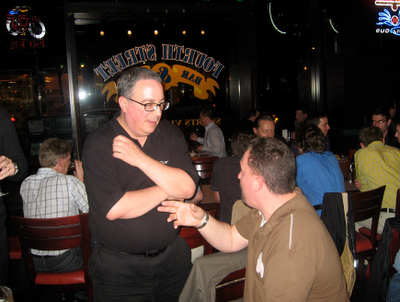 The last picture I could find was one from last Oracle Open World where Scott was talking to John at the APEX Meetup. We will miss you Scott. Our thoughts are with you, your family and your friends. Just a quick note to say the ODTUG Kaleidoscope conference schedule is published now. 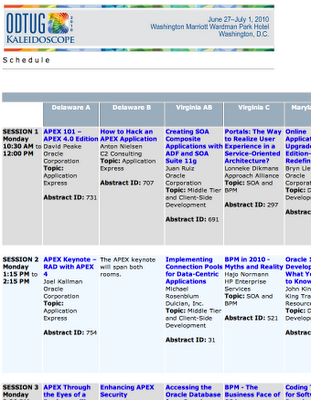 There's a double APEX track scheduled... Delaware A and B are the rooms to go to if you want to see APEX 4.0 and so much more! 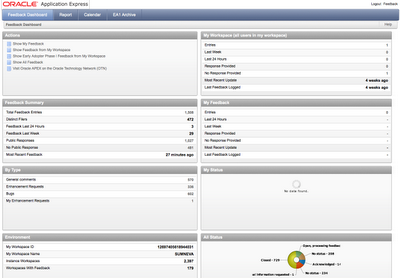 There is an APEX 4.0 New Features Application which shows a lot of the new features in action. e.g. 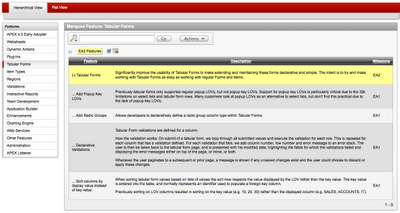 the screenshot below shows the new features for tabular forms in action. If you want more detail about the new features and when they got introduced (e.g. you reviewed EA1 but want to see what is new in EA2), you can go to the APEX 4.0 New Features Description. I find it very useful to have something like above. Sometimes it's hard to find something if you don't use it that much. I was searching for a Word and Character count in Pages (OSX). Pages is like Word, but than from Apple. Anyway, in Pages most nice "things" are under the Inspector icon. The first icon (Document) and the third tab in there, give you what you need. 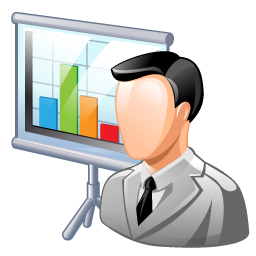 Information about your document, like the number of words you used, number of characters etc. In APEX 4.0 EA2 the Websheet functionality is enabled. Websheets allow you to share information with others in a very quick, user friendly and secure way. Let's have a look at an example. 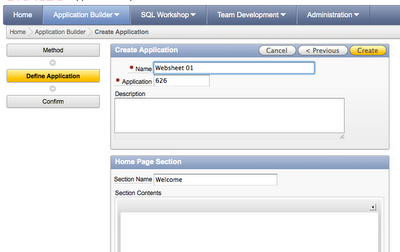 If you go to Application Builder in APEX 4.0 there is a new type there called "Websheet Applications". 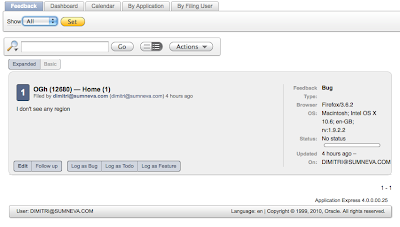 We create a new Websheet Application and give it a name and possibly some content that will appear on the home page. 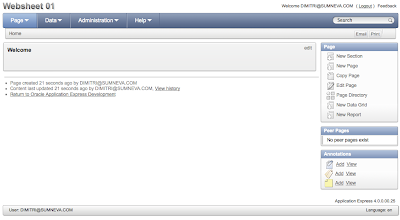 You can type the content with the WYSIWYG editor (CK Editor) by clicking on the arrow button. Before it creates the Websheets, the wizard gives a summary page and that is it. 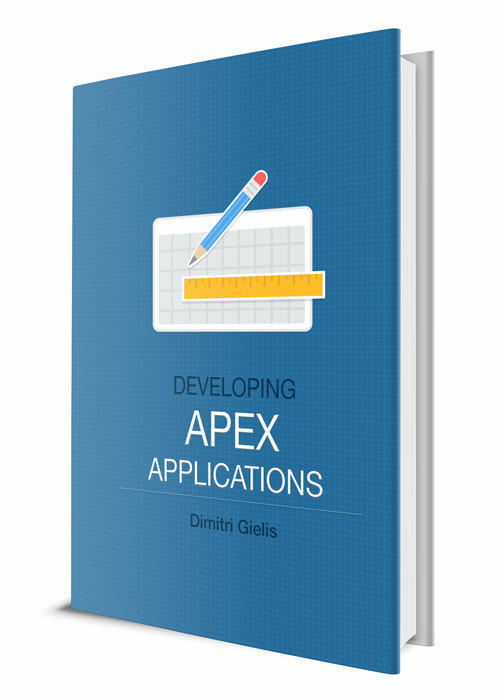 Websheets are even simpler to create than a normal APEX (database) application. 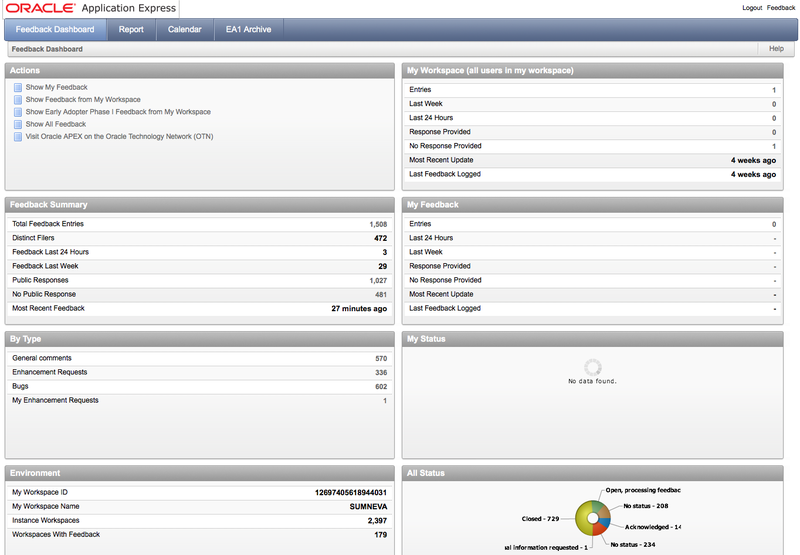 You can compare Websheets with a preconfigured APEX application. A whole Framework is build for you with a lot of features out-of-the-box. You can just use all that. When you run the Websheet from the App Builder you come into "Websheet-land". 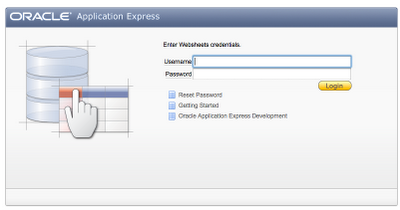 As a default Authentication mechanism it uses the Application Express Account . But you can change that by going into the Websheet Properties to Public Access, Single Sign On, LDAP or Custom. 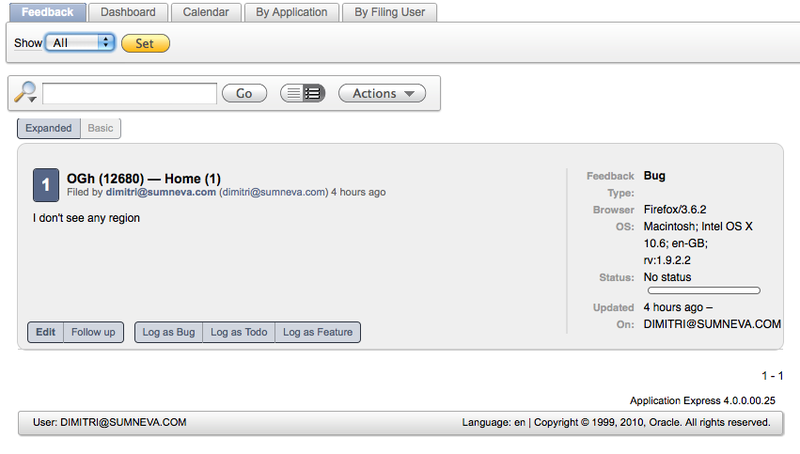 When logged in, you come into the Websheet Framework. As we have Websheet Development Access, we can change the Websheet. In the top menu and on the right hand side you see what you can do. E.g. you can add pages, sections, data grids etc. There's a lot to explore there! In the different sections of the page you also have Edit links, which allow you to easily change the text, all with a (WYSIWYG) html editor. I see two big parts of Websheets; sharing information and data. The information is done through using Pages, sections, tags, files etc. just like you do in a Wiki/CMS. But where it outperforms all the typical wiki or content management systems, is with the data part! One of the killer features of Websheets are the Data Grids. If you go to Data > Data Grids and create a new Data Grid, you have the choice to start from scratch or from Excel/Text with copy/paste. That allows you to create "a table" on the fly which holds your data (actually it's a record in the Websheet repository). This Data Grid look very similar to an Interactive Report (see Actions button), but it allows to do inline editing and a lot more (see Manage button)!